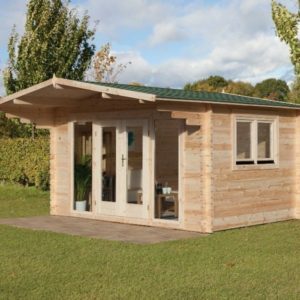 The Chiltern is a contemporary log cabin that could be used for a home office, summerhouse or dining area when the weather isn’t good enough for alfresco. 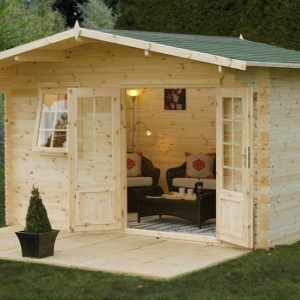 The cabin specification is good, the log cabin is fully glazed throughout and equipped with two large tilt and turn opening windows. 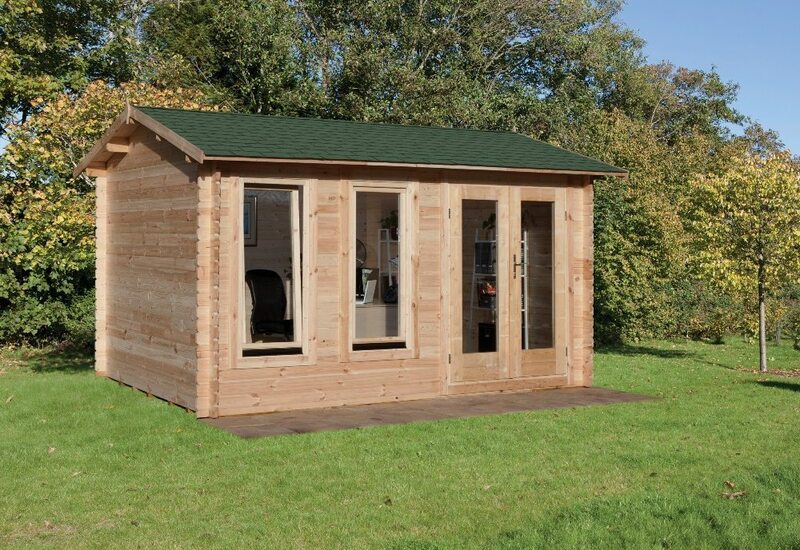 Firstly, the Chiltern log cabin is a generous 4 metres by 3 metres and is constructed using 34mm machined logs. 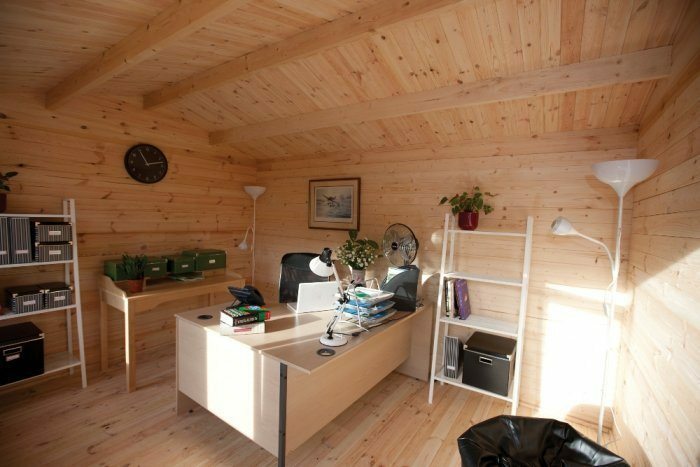 The cabin is fitted with two tilt and turn opening windows. 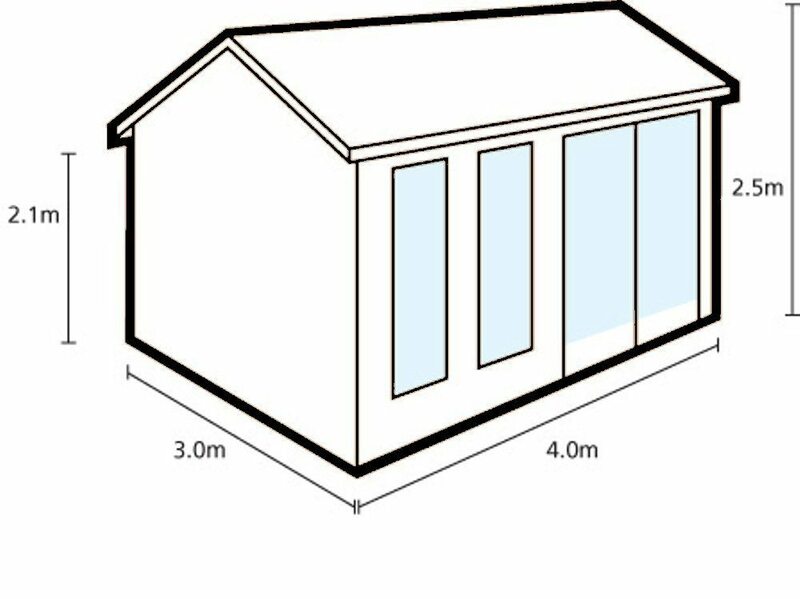 These windows are double glazed. 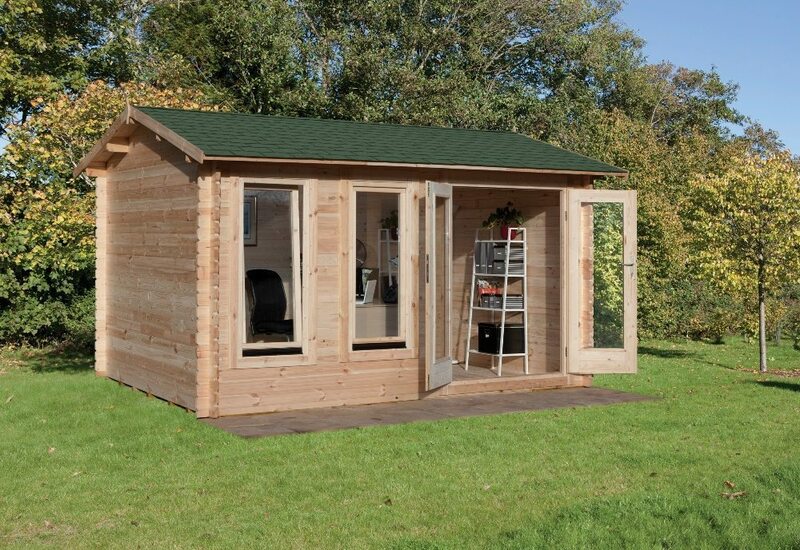 Both doors are double glazed and fitted with a mortise lock.